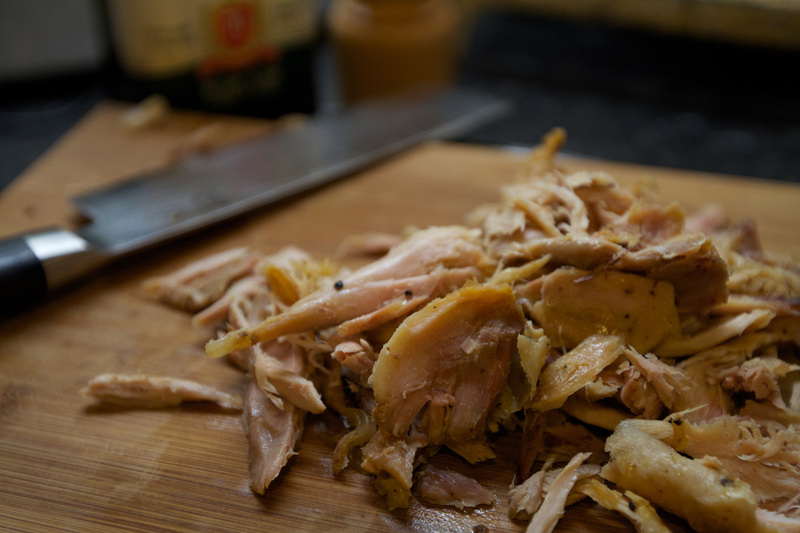 Shredded Chicken with Mash and Gravy….the best gravy ever! Right so this was sooooo good. It was actually really simple as well. 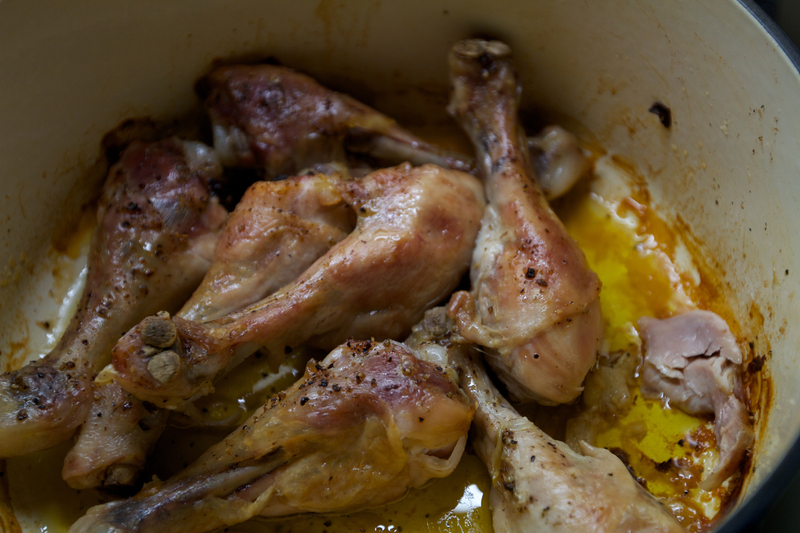 All I did was use my cast iron pan to roast some nice organic free range chicken legs. 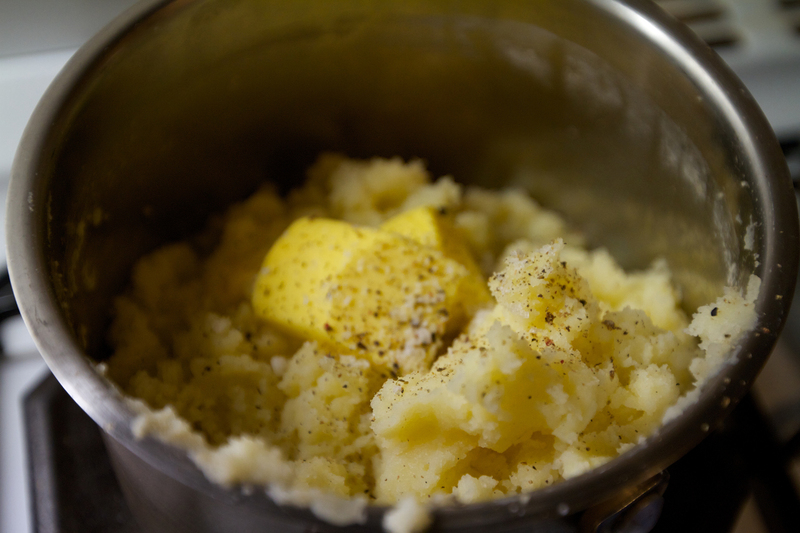 Cooked up some nice organic potatoes to make the best mash ever and just cooked some peas really simply. So you’re going to need. Vege of your choice – I went for peas. 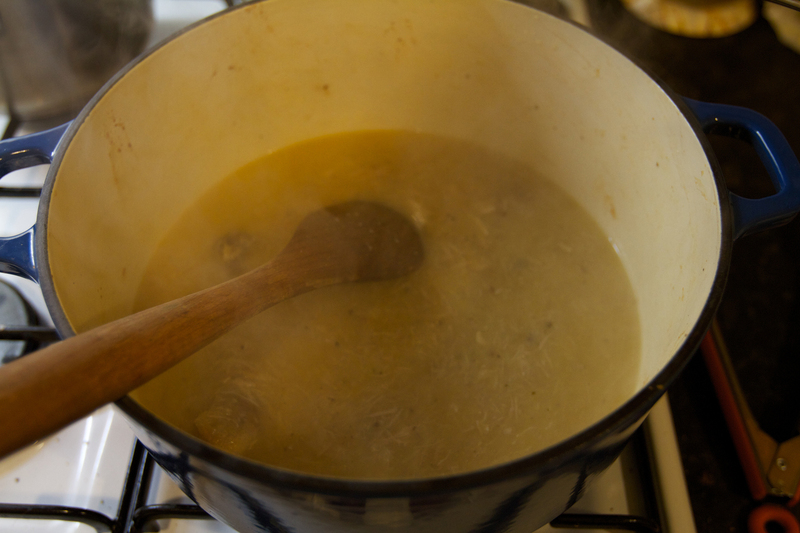 Chicken stock – instant is ok but those pouches are pretty good if you can afford it. I used a cast iron deep pan to cook the chicken in so if you don’t have one of these just use a deep oven tray with some tin foil to cover it. 1. 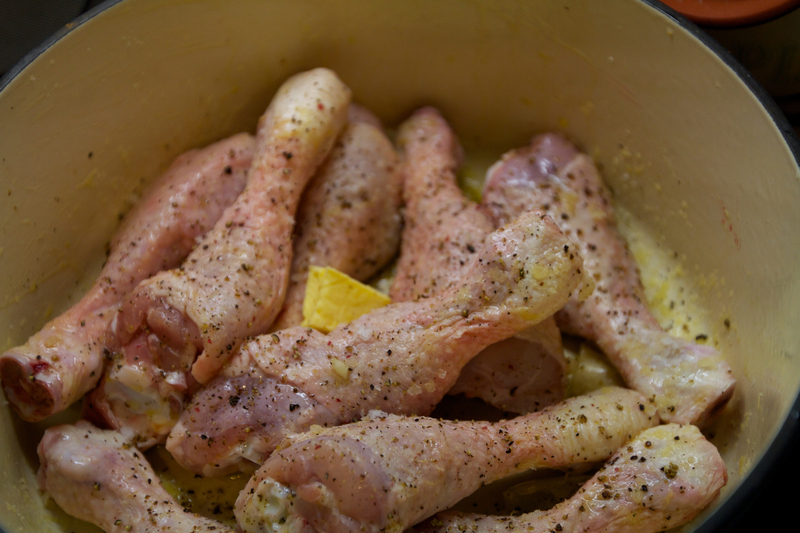 Ok so in the pan add some olive oil, 3-4 cloves of garlic, the chicken legs (I used 9), salt, pepper and a knob of butter. Give it all a nice mix, pop the lid on and put in the oven on about 140°C for 2 hours. 2. After 2 hours turn the oven off and leave the pan in there. Now get you potatoes on. Just peel them, slice them into 1 cm thick slices add the water, good pinch of salt and bring to the boil. 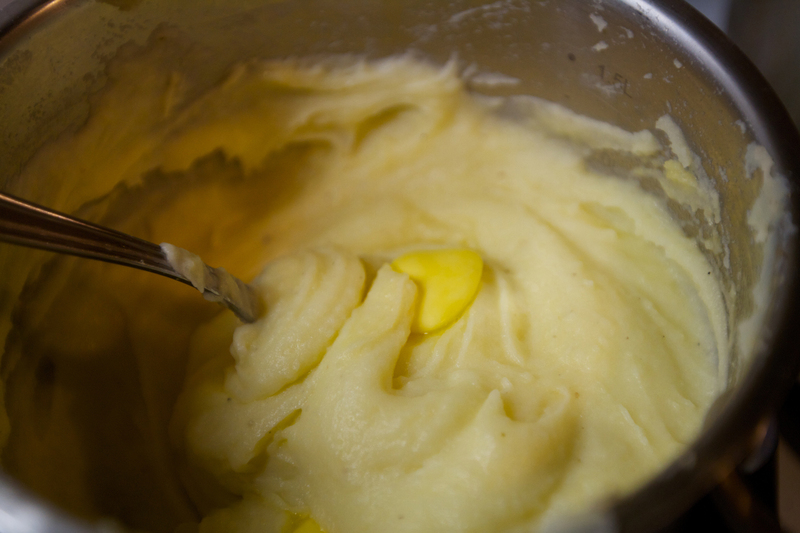 Once boiling turn down and simmer until the potatoes are soft. 3. Once the potatoes are simmering get the pan out the oven and remove the chicken from the pan. Pop on a plate and cover with foil to rest. 4. 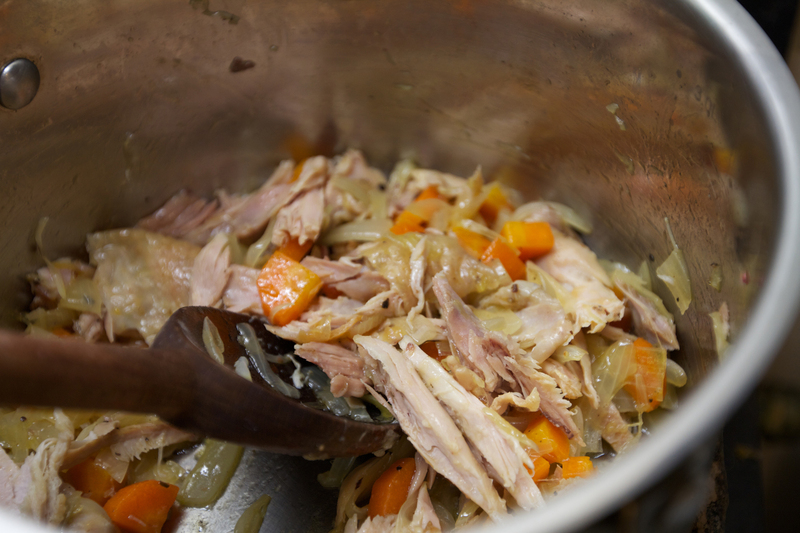 Get you stock made and put to one side in a dish. 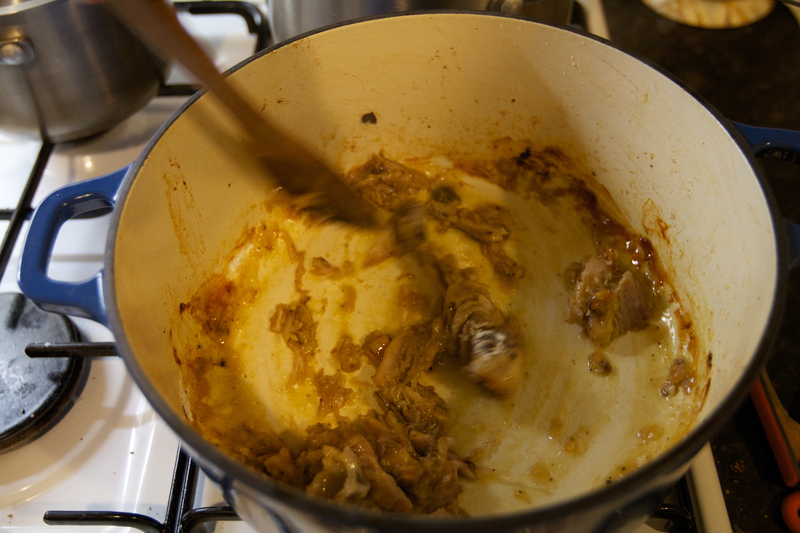 Now grab one of the legs, pop back in the pan shred all the meat off, turn on the heat to medium high and get stirring round. 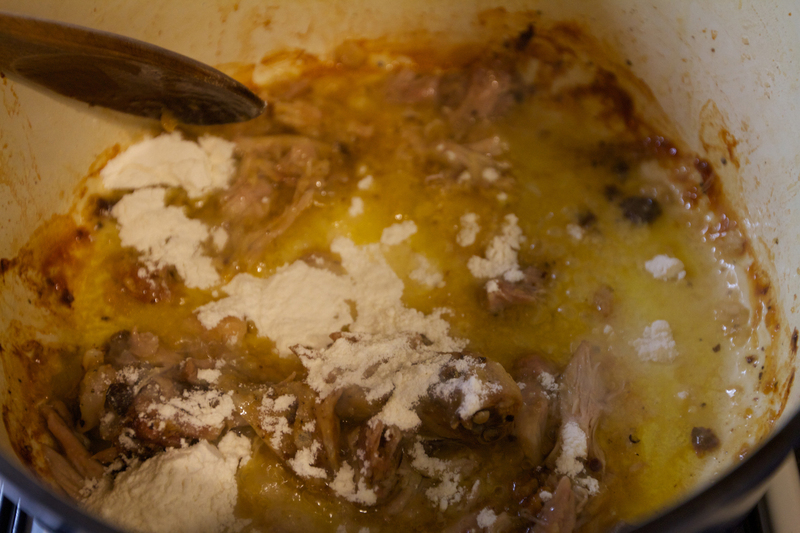 Now add a spoonful of flour and mix well, stirring constantly for 2-3 mins. Now add the stock and keep stirring. 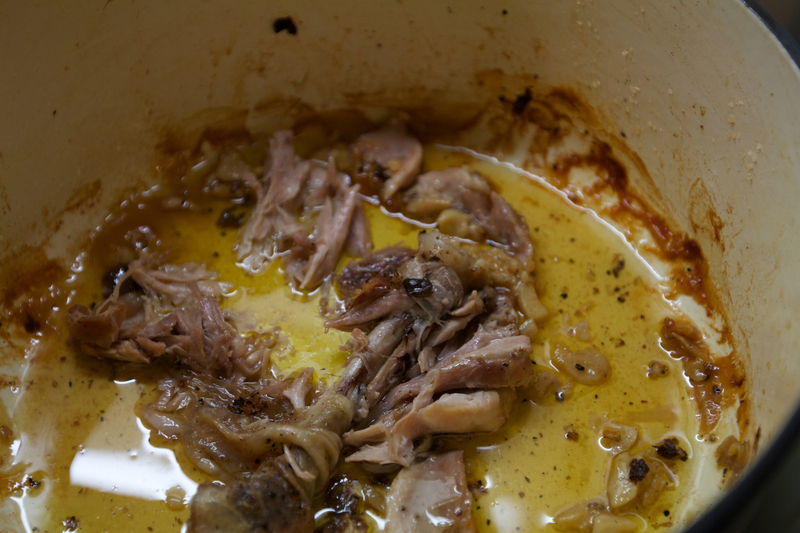 Keep doing this until you get it to a nice gravy consistency. Turn down to a gentle simmer. Taste and add a bit of pepper if needed. 5. Now the potatoes should be done. Strain and grab a metal fine sieve. 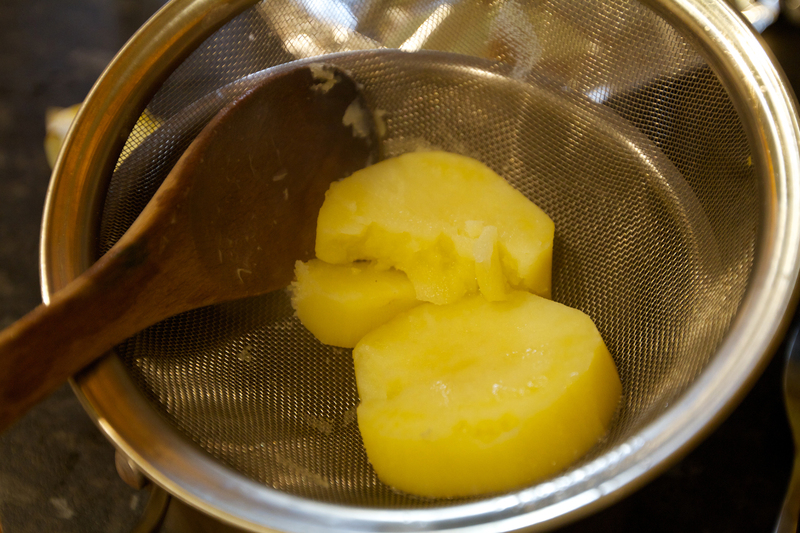 Using a wooden spoon push through the sieve a couple of bits at a time. Now add milk, a good knob or two (or 5) of butter, salt and pepper. Mix well over a gentle heat. Pop the lid on and turn of the heat and leave to sit. Now in another pan put about 2cm of water and bring to the boil and add the peas. Cook these for 2-3 mins until cooked. Drain and season with salt and pepper and a bit of butter. Now plate everything up. 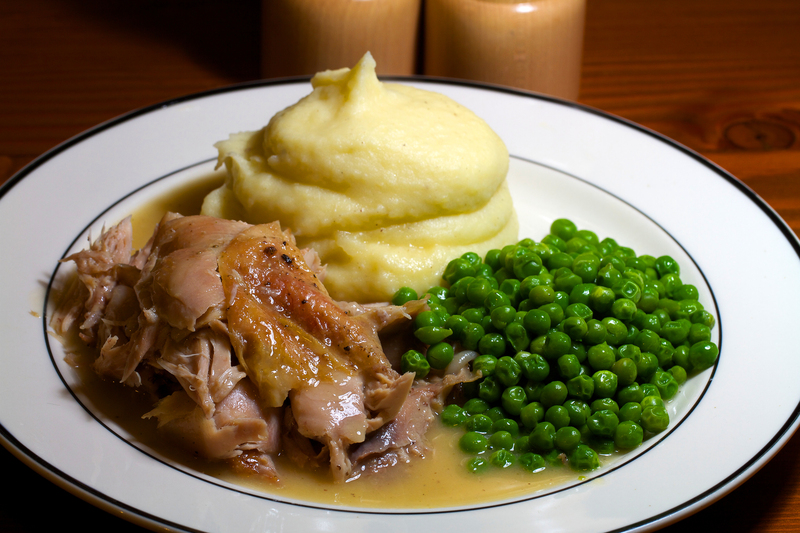 I just stripped the chicken from the bones into a nice pile on the plate and added the mash and peas then added the gravy poured over the chicken. Sorted! Now the leftovers the next day. 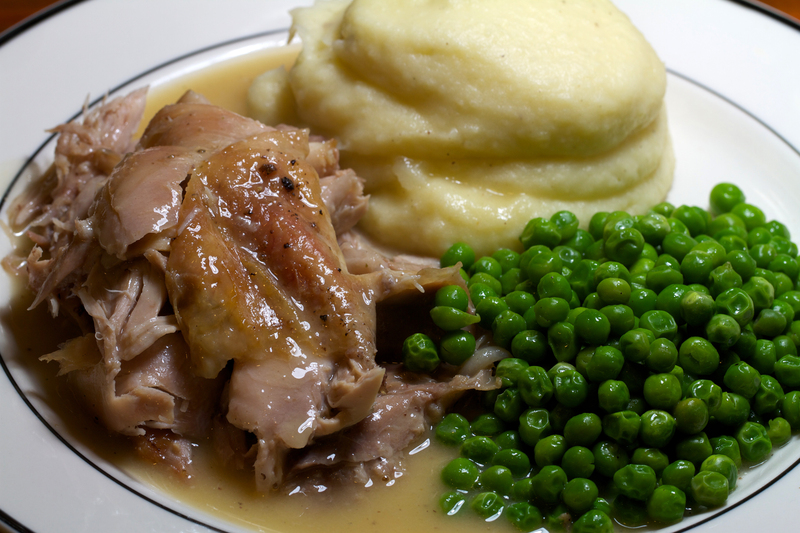 I usually make far too much mash and gravy plus I always cook too much chicken so I can do something like this. 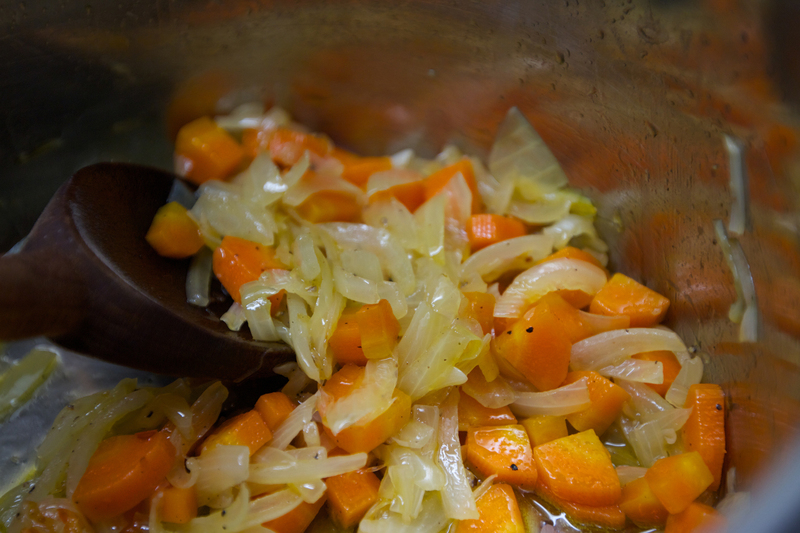 In a pan on a medium heat add extra virgin olive oil, the onions and carrot roughly chopped. Fry off gently for a few mins until soft. Now add the rest of the chicken stripped from the legs. Just roughly pull the chicken from the legs, keep the size nice and random. 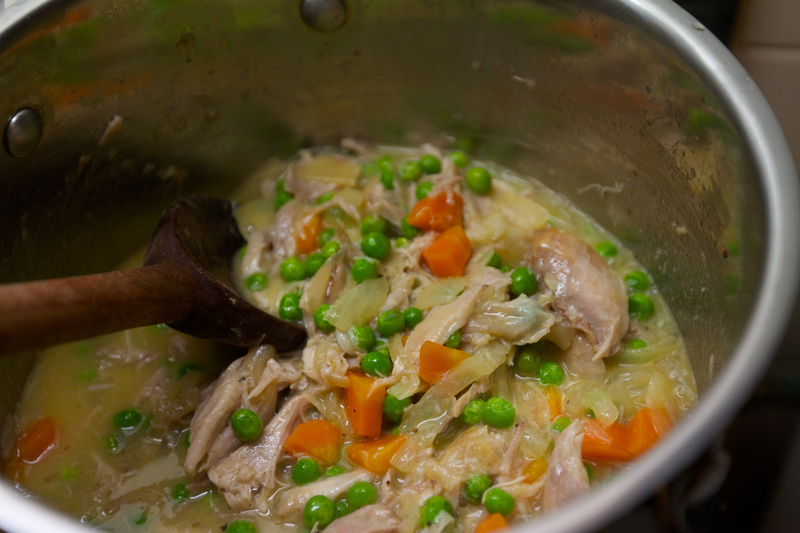 So add this to the pan, stir then add a handful of peas. 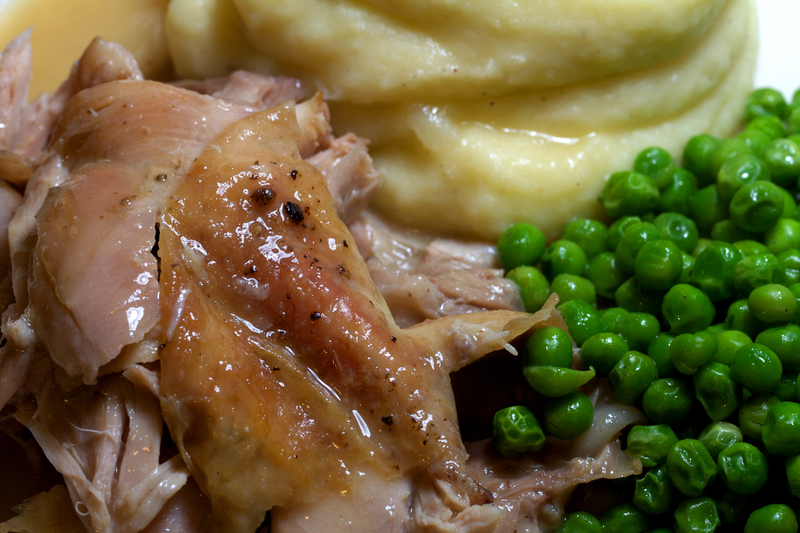 Season with pepper then add the leftover gravy. Mix well, bring to the boil then turn down to a simmer and cook for 5 mins. 2. 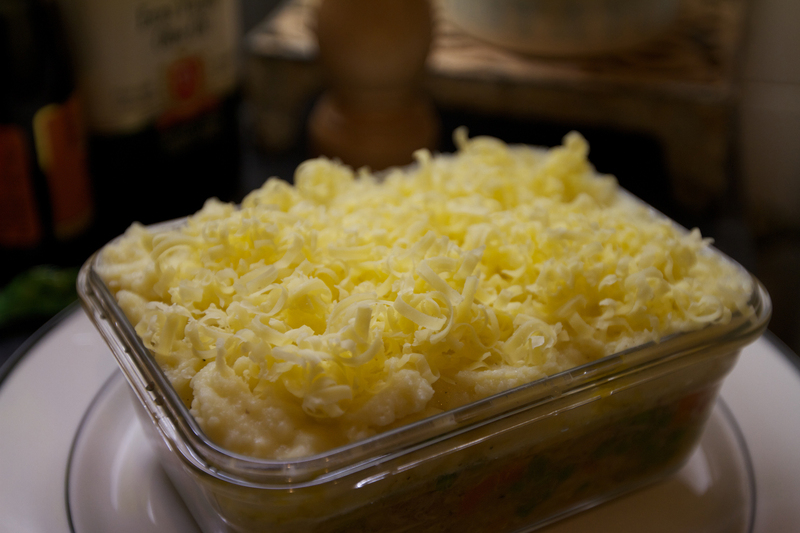 Now in an oven dish add the mixture top with cheese then the leftover mash then more cheese. I seasoned the top with a bit more pepper and a splash of Worcestershire sauce. 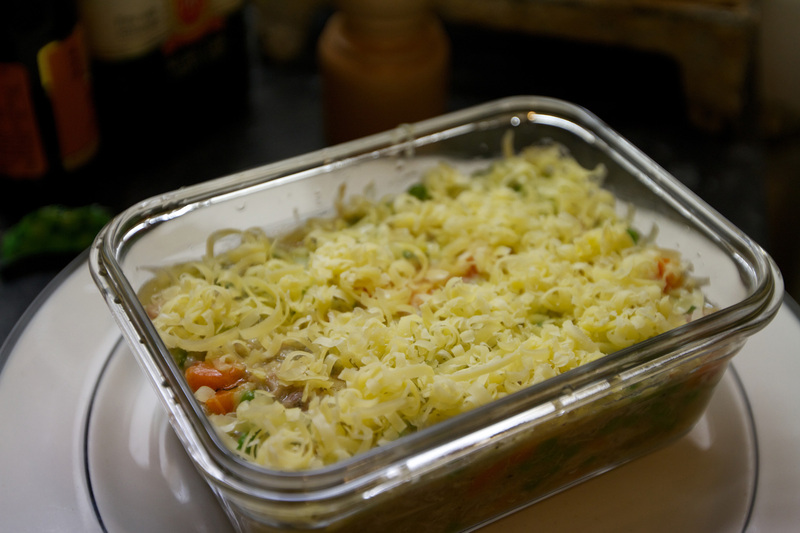 Pop in oven for about 25 mins or until golden!